Tomes Edition: Technique Thursday | Taking down Braids To Minimize Breakage.. 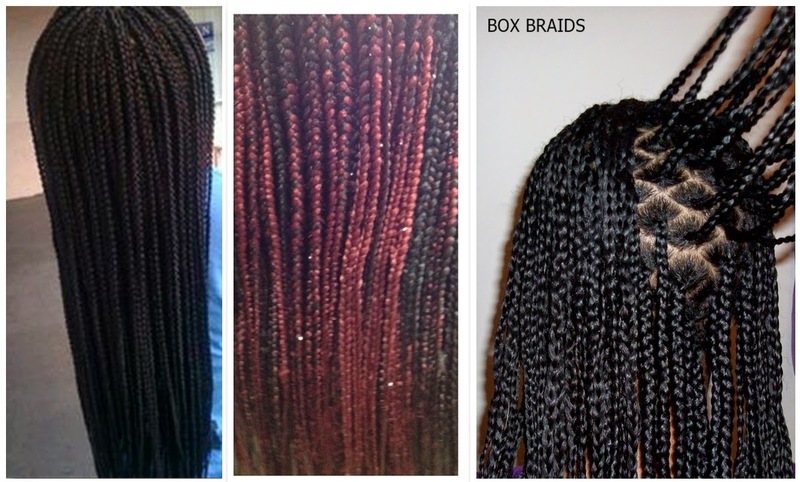 Technique Thursday | Taking down Braids To Minimize Breakage..
A friend of mine installed box braids and wore it for 4 weeks and wanted to remove and relax her hair the following week. She unraveled, didn’t detangle and jumped into the shower to shampoo, while rinsing out her hair she realized her roots were matted and detangling was too difficult. She applied her deep conditioner for 30mins and rinsed. After getting out the shower her entire head was matted and she called me panicking. It’s a good thing she knows I’m on a hair journey and take really good care of my hair if not she would have ended up with a pixie hair cut after having shoulder length hair. She said "Tomi my hair is matted and I don’t know what to do, I’m coming by you now”. I wasn't busy so I helped out my friend. 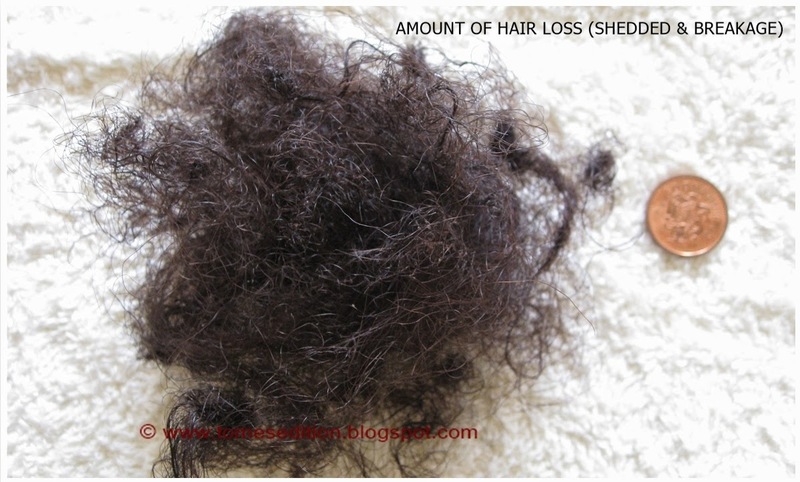 Take a look at how much hair was lost during the un-matting session. Majority of it was shedded hair but there was some breakage. I could see the distinct 'part' of each plait from when it was braided so I sprayed Mane n Tail detangler on her roots and the matted area and carefully used my fingers first, followed by a wide width tooth comb to detangle. I worked on each individual unraveled plait to make sure ALL the matting was conquered. There was some breakage but it was inevitable due to her hair been wet and the heavy matting. Detangling took 2 hours but she was still left with hair on her head, tangle free which was the most important factor. not at the end of taking down all the braids. It’s just easier. work your way up to the root. DO NOT drag from the root to ends. After detangling the back, sectioned it off so it doesn’t get caught up in the other sections. Apply your Prepoo, Shampoo, Deep Conditioner & leave in Conditioner’s in sections. 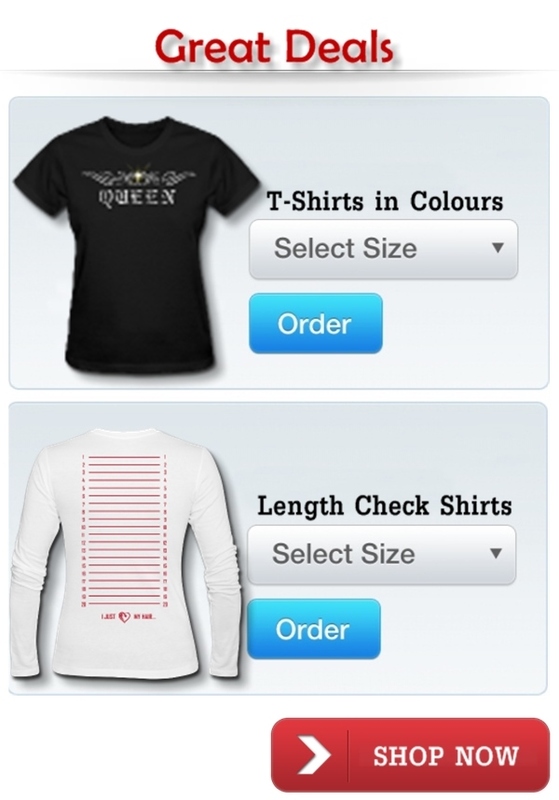 Airdry and style as desired. What methods do you use to take out your braids? Lol this reminds me of myself. I was in the same predicament in November, I am now neck length becase of that. I had to literally tear my hair out. I'm sorry to hear about that, hopefully your hair will bounce back in no time. Oh my gosh that brought back bad memories for me! Unfortunately I did the same thing which was what caused a major setback for me! I'm glad she had you there to help! Oh no Courtney, sorry to hear. I'm proud of myself... I had in braids for two months and I took them out on Wednesday. I had a friend who had a similar experience to your friends so I combed out each one as I went along. My mom was helping me I had to beg her several times to comb them out each time too. She kept saying is is leaving it for me to comb out at the end. I said nope, that would leave me with no hair (lol lol). I then did steps 9&10 with minimum breakage. I'm glad you did those steps Deon, it's better to be safe than sorry. Oh boy, I use to see this so much growing up! Impatience is the worst. I make sure not to touch my hair unless I have time to be gentle and patient. If not, my hair is left alone. LawdaMercy!! I know that feeling of panic and trepidation. This happended to me last year and it was bc I had my BFF help with the take down and she didnt detangle them properly. I emptied an entire bottle of It's a 10 on my head. 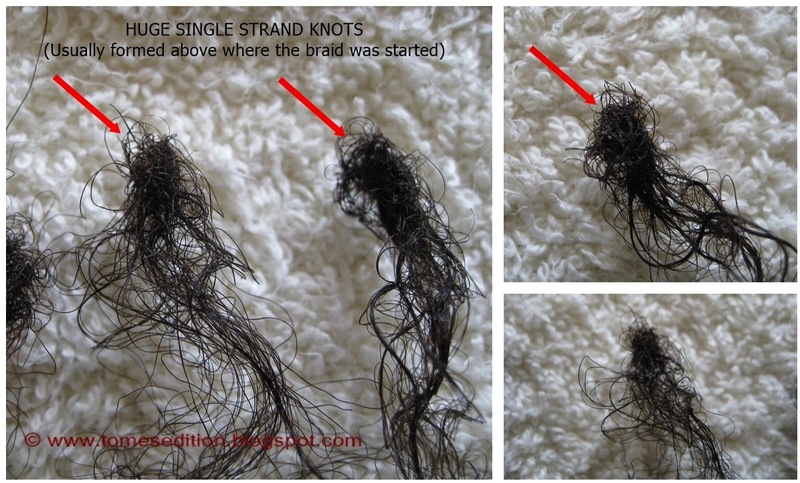 Uh, this happened to me too - I lost so much hair and I actually had bald spots from yanking (yes, bad I know!) the knots out! Thankfully the hair grew back and from then on I am always über-careful about detangling and being patient - it really does pay off! ooh, I had to learn the hard way to never put water to hair that has not been thoroughly detangled. I don't wear braids anymore, but when I did, I had a very similar experience. Now I know better. Its a good thing you were there to help you friend. I would have been in a panic too. Oh noooooo! This story is scary!! If I had read this before wearing extensions I would definitely have never tried braids. I went 28yrs scoffing at braids because I thought they were a waste of time and for lazy people. But since starting my HHJ and educating myself, I've worn them twice and each experience was pleasant. For the first installation, I did MAJOR research before I got them installed. Research is the best prevention. Now I'm a summer braids girl lol. Who would have ever thought! !